Put on your snowboots this winter before your journey through Hiberheim. Those of us without a Windows OS will finally have the chance to delve into the world of Source Hunting alone or with a companion. 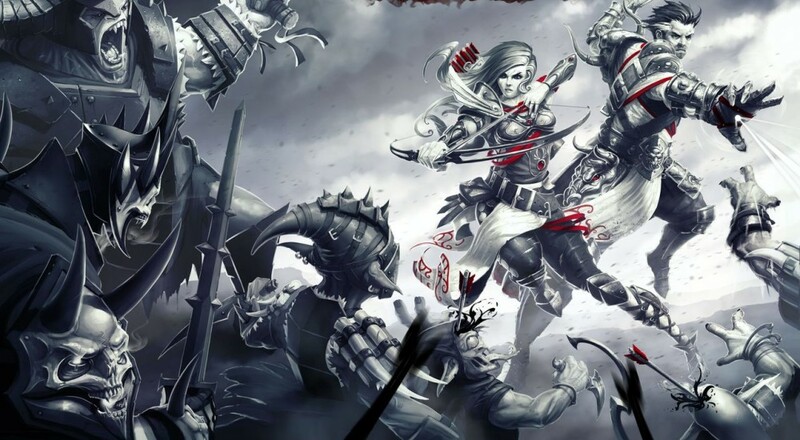 If you haven't already played, Divinity:Original Sin - Enhanced Edition is an isometric turn based RPG with an incredibly in depth story, versatile skill progression that does not restrict you to one class, and a large, vibrant world to explore. You can choose to play on your Steam Box, or with a Linux or Mac OS. The availability of cross-platform multiplayer will provide a flood of new allies, whether this is your first play through or you are a seasoned veteran. With drop-in/drop-out two player co-op, you can create new experiences by creating strategies with a friend (just don't get mad if they accidentally electrocute you because they didn't notice you were standing in a puddle). AP points determine your move distances and the abilities you can afford per turn, giving this title a tabletop gaming feel. You have to coordinate with your companion in order to pull off devastating attacks that utilize the environment surrounding you. The Enhanced Edition changes so much that it is almost a completely new game, as seen by all the changes made available here. New players will continue to find delightful surprises throughout the game, with the enhanced version offering more weapons, spells, and overall content than the original. This award winning game is currently 33% off for the Steam Winter Sale - pick it up and be prepared to lose countless hours in the immersive world of Rivellon. Divinity: Original Sin Adds "VR"
Page created in 0.9266 seconds.